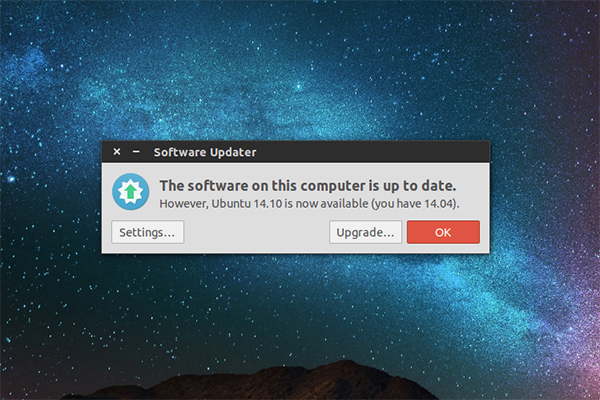 The Ubuntu 14.10 release delivers a v3.16 based kernel. This brings a significant number of bug fixes and new hardware support including expanded architecture support for Power 8 and arm64 platforms. As with every new release, packages–applications and software of all kinds–are being updated at a rapid pace. Update Manager should open up and tell you: New distribution release ‘14.10’ is available.